The aging process affects the face in several distinct ways: the skin becomes thinner and more lax; the muscles and tissues change, causing lines and wrinkles; and fat displaces to unwanted areas of the face. The result is a tired, angry or sad-looking expression. Traditional facelift focuses on areas of the mid- to lower face, including the jawline, jowls and cheeks. Through incisions made around the hairline and ear, Dr. Lee will elevate the deep tissues of the face, repair weakened muscles, eliminate surplus skin and re-drape the remaining skin more tightly over the face and neck for a smoother look. 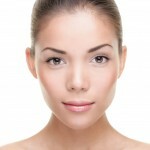 Dr. Lee may incorporate different techniques to target other areas of the face. For example, he may make an incision within the upper hairline to lift a sagging brow line and smooth wrinkles along the forehead. Alternatively, Dr. Lee may make an incision in the crease of the upper eyelid and/or underneath the lower eyelid to tighten droopy or puffy eyelids. If necessary, he can make an additional incision underneath the chin to improve the neck contour. In order to avoid results that look overdone or unnatural, it’s important to have a thorough understanding of the facial structures, how the aging process affects them and how to subtly address these changes. In the past, facelift techniques focused on simply tightening the skin — without paying enough attention to the other facial features — and often led to frozen or surprised-looking “wind tunnel” expressions. Dr. Lee is a leading facelift surgeon who stays current with all advanced techniques and technology. Educated and trained at some of the nation’s top institutions, he maintains active membership in several prestigious medical associations, including the American Society of Plastic Surgeons and the American College of Surgeons. In recognition of his exceptional technique, Dr. Lee was recognized with the Patient’s Choice Award in 2013. If you are considering facelift surgery, you could not be in more capable hands. For more information about facelift surgery and how it can help you look youthful and fresh-faced, please contact our practice today. Call (949) 548-9312 or email us to schedule a personal consultation.